Art Direction: You know when facial hair becomes so intense it actually takes over your head? Well exactly like that, also with an evil blue guy and a king. Oh and a princess! And a guy with a sword! Ah, just put everything on there within a glorious yellow boarder! You know.. there isn’t enough tv-shows set in medieval times anymore. That beard is epic! It’s a head beard. Even during the middle ages, guys dressed up like The Crow at Halloween parties. So the plot centers on a medieval barber who can channel celebrity hair styles from 1980’s Los Angeles salons. After convincing the entire court to try the latest layered looks he is drawn & quartered. This strict but appropriate punishment fails to cheer the king, queen, wizard and populace as it will may take weeks for everyone’s hair to grow out. As it appears the title gives the climax away, that, plus the cover, leaves little reason to pick up the book. My heart does go out to Mr. White. 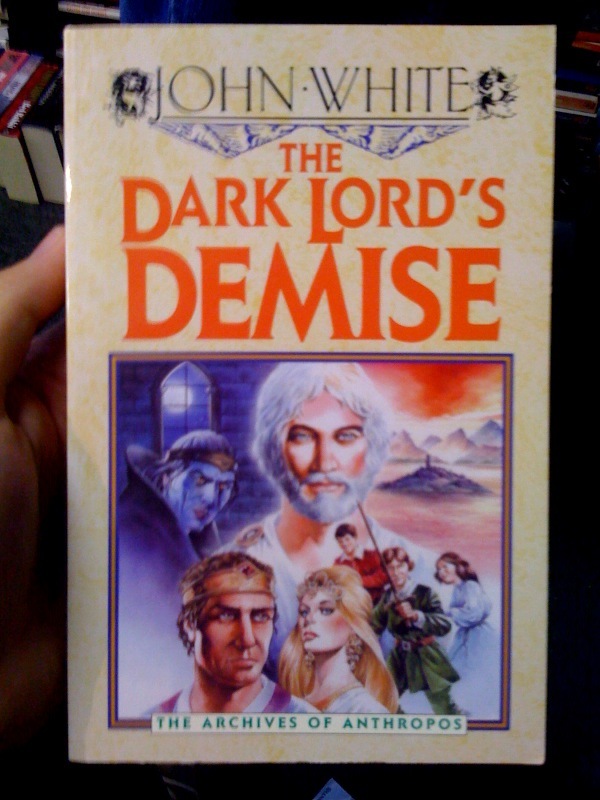 I’m trying to figure out what Will Self is doing on the cover wearing that crown. Above the Wizarding Three in the back…what is a big blue Indian midden doing right in the middle of nowhere? I think that blue stuff is either a really bad fungal disease or a second type of hair which really *has* taken his head over. Cover later recycled for the ghostwritten sequel YOUNG HARRY POTTER: THE CURSE OF THE BLUE FACE WITH RED LIPSTICK. I’ve actually read thisâ€“ and it just goes to show how misleading these covers and titles can be. You might *think* it’s a bad ripoff of “Harry Potter”, but in fact it’s an excruciatingly terrible ripoff of the “Chronicles of Narnia”. Yes, but what I want to know is, does the Dark Lord get killed at the end?? If you’d told me this was a novelisation of that late 70s show with Roddy McDowell and Ike Eisenmann lost in the Bermuda Triangle I would have believed it. Just for a minute there, I would have sworn that Ol’ Blue Face there was wearing his baseball cap backward….